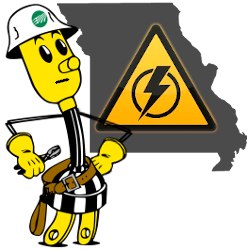 Howell-Oregon Electric Cooperative, Inc. proudly serves the following areas of south-central Missouri: all of Howell and Oregon counties; the eastern parts of Ozark and Douglas counties; a portion of southern Texas county; and the lower half of Shannon county. The HOEC service area is bordered on the south by the Arkansas state line, and on the west by the scenic Norfork and Bryant Rivers. The northern boundary extends from a line just south of the cities of Mountain Grove and Cabool across to the Jacks Fork River and to Round Springs. From Round Springs the border runs along the Current River to the Carter and Ripley county lines, then south to the Arkansas line. HOEC provides electricity distribution to the towns of Alton, Bakersfield, Birch Tree, Brandsville, Eminence, Koshkonong and several other unincorporated villages. The cooperative also serves some consumers within the city limits of Mountain View, Thayer, Willow Springs, West Plains and Winona.